The 'Power' pumps made their debut in June 2014 when Catherine visited France to commemorate the 70th anniversary of the Normandy landings on Gold Beach. 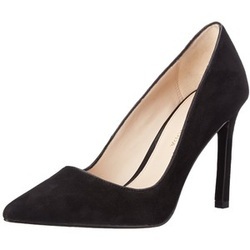 These Stuart Weitzman suede pointed-toe court shoes feature a covered 3 ¾ inches thin stiletto heel and leather sole. 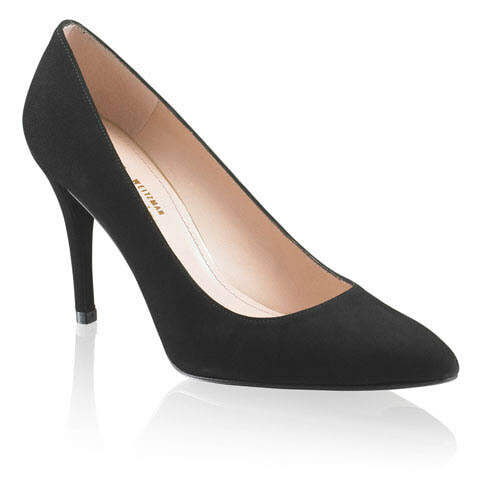 STYLE FILE: Stuart Weitzman Power pumps as seen on Kate Middleton, The Duchess of Cambridge.